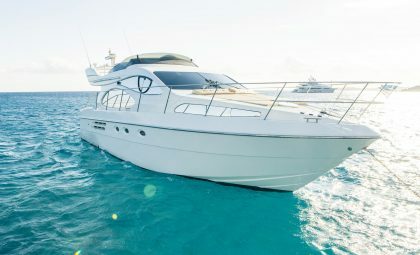 This well-equipped, beautifully designed crewed Motor Yacht, Aicon 72 Hardtop, is perfect for lovers of speed and luxury. 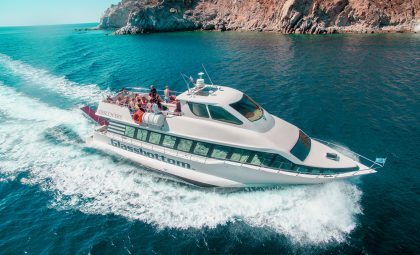 The slick profile suggests that she can take you far in little time, while style details both surprise and offer an unparalleled cruising experience. The lines between the exterior and the interior are in harmony with large, unbroken side windows and a hard top above the living area that allows one to experience the living areas in the open air. 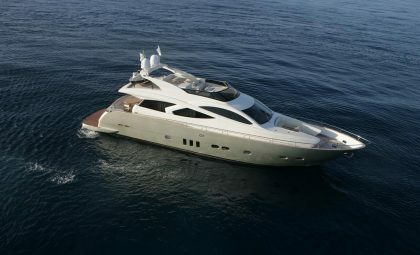 The intelligent design maximizes external spaces and outdoor living, with the wide cockpit as the center point of the yacht. Her modern and contemporary interior promotes space and harmony with plenty of light filtering through wide uninterrupted windows. Internally, the galley is well positioned between the living area and the airy dinette. 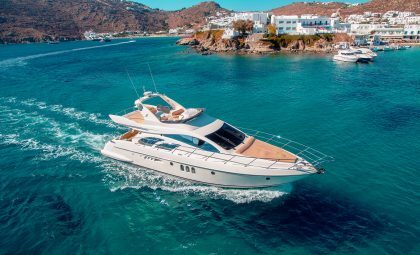 The master stateroom is amid ship, with a large open able porthole for illumination – an element that has become one of the distinctive features of Aicon Yachts, while a foreword VIP cabin comes with a double bed and there are two guests’ cabins with twin beds. 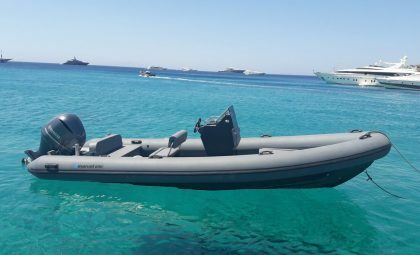 Aicon 72 Hardtop is the ideal yacht for long cruises, ensuring that cruising is always gentle in different sea conditions. 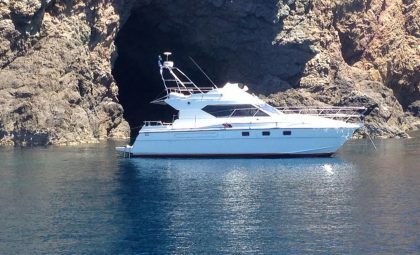 Displacement (at full load): 55 t.
Mykonos Yachting is a member of Hellenic Professional Yachts Owners Association. 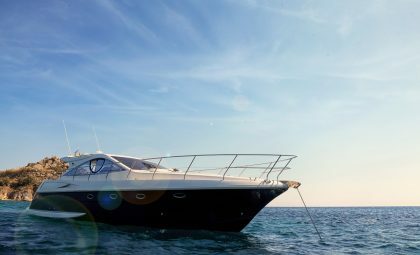 All the Yachts presented are company’s property. 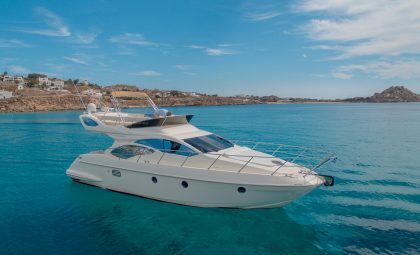 Therefore you get the best rates avoiding any brokerage fees and ensuring that you are chartering a yacht in an excellent condition.